The success of our work hinges on the quality and commitment of our team. Everyone on our team has strong experiences, impressive credentials, personable demeanors, and great work ethic. 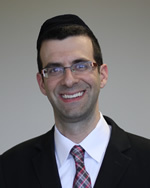 To learn more about WABC’s team, click on their photos below to read their bios. Alex started working at WABC in December of 2016. He will graduate from Stevenson University in the spring of 2020. Alex is pursuing a bachelor's degree in accounting. 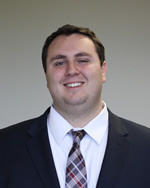 Upon graduation, Alex plans to sit for the CPA exam and pursue a master’s degree in tax. When he is not working, Alex enjoys spending time with friends and family and playing soccer. 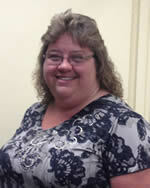 Anna is a Tax Department Manager with 20 years of experience in public accounting, primarily in tax areas. She has been involved in preparation and review of complex individual and business tax returns, as well as tax projections and planning. She has also done work in not-for-profit area as well as the estate and trust taxation. 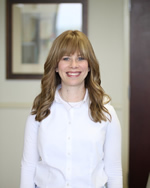 Anna graduated from Towson University with a bachelor's degree in accounting in 1999 and received her Certified Public Accountant license a few years later. She enjoys spending time with her family, shopping and traveling. Aviva joined our firm in July 2005 as a manager. She came with over six years' experience in a big four accounting firm with a strong background in audits of non-profits, higher education and A133 work. Aviva runs our Accounting and Auditing technical division. She is involved with the compliance aspects of our financial statements, researching accounting issues, implementing new pronouncements into our audit framework and training staff both informally and through continuing education classes. Aviva works diligently to keep the firm up-to-date in the constantly changing accounting environment. In addition, she plays an active role in the quality controls aspects of our firm in working on internal peer reviews and coordinating with the external peer reviewer. Her 20 years of accounting and auditing experience provides a wealth of knowledge to other employees of the firm. 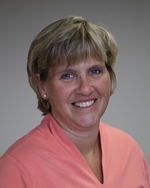 Aviva graduated from Cleveland State University in 1998 and became a licensed CPA in 2000. She is a member of the American Institute of Certified Public Accountants and the Maryland State Accounting Society. Aviva lives in Baltimore with her husband and five children. 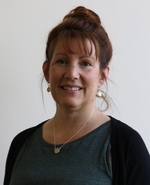 Carol began working at WABC in January, 2013 after a merger with DRM&K. 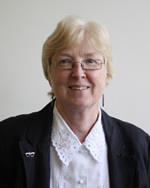 Carol has been working in the accounting industry since 1994. 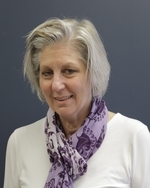 Carol was previously the office manager at DRM&K but quickly found that being the tax administrator at WABC was a great fit for her, as she loves tax season. In her spare time, Carol enjoys “family fun” night with her family, traveling with her husband, watching movies with her son and doing photography with her daughter. Chrissy started as an intern at WABC in November. She's a senior in the accounting program at Towson University. Her interests include her sorority Kappa Delta, her little Dachshund Rex, cooking, and baking. Dustin has been with WABC for almost 10 years. 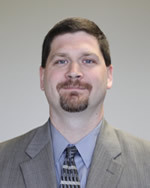 He specializes in auditing and accounting, as well as working in the WABC Business Valuation department. 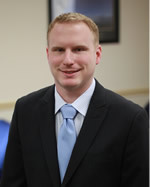 Dustin is a member of the Anne Arundel Y Community Leadership Board and the Y of Central Maryland Finance Committee. When not working, Dustin enjoys spending time with friends and family and playing music. 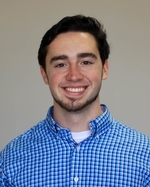 Dylan is a sophomore at Stevenson University studying accounting. He joined WABC in December of 2018. Some of his interests include playing soccer, watching sports, and hanging out with friends. 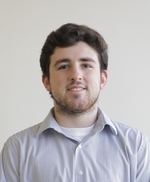 Evan began working as an intern in the summer of 2014 and went on to become an associate at WABC in the summer of 2016. After graduating from Stevenson University in 2015, Evan has been working hard while studying for the CPA exam. When Evan is not working, he enjoys some quality family time, watching the Redskins (attempt to win), playing sports, watching movies, and getting together with friends. Jasmyne began working as an associate for WABC in January 2015 after the merger of Dennis H. Weiner &amp; Associates, Chartered. 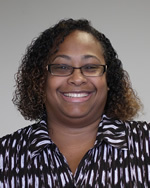 Jasmyne provided accounting and management services since 2001 including an expertise in QuickBooks, corporate accounting and individual tax return preparation. She has been with the Wealth Management team since 2016 providing client support. 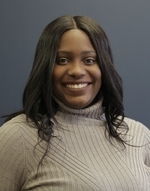 Jasmyne also enjoys planning firm events and participating in marketing initiatives at WABC. In her spare time, she enjoys traveling and spending time with her daughter. 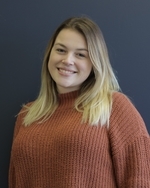 Jenna started working at WABC in the summer of 2017. She currently studies electronic media and film and minors in mass communication at Towson University, where she will graduate in 2019. She has done media and video work for Great Mills High School, the Department of the Navy, the Towson Sports Network, and Maryland Public Television, and she hopes to one day have the means to publish her creative projects. She enjoys writing, spending time with friends, and taking walks. 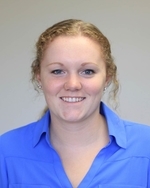 Jen started working at WABC in December of 2015 as an intern. She graduated from Towson University in the spring of 2017 with a Bachelor’s degree in accounting with a minor in finance. When Jen is not working she enjoys spending time with friends and family. Karen joined the WABC team in April of 2018 with 20+ years of bookkeeping and accounting experience spanning a variety of workplace scenarios and industries that include both corporate and small business. Karen is a Certified QuickBooks Pro Advisor with certification and advanced certification in QuickBooks Online and Desktop software. In her spare time she enjoys golfing, running, and time with her husband and blended family of 11 children. Keneshia is a recent graduate of Towson University, December 2018. She joined WABC in October of 2018. When she's not working she loves watching movies with great storylines, volunteering, watching basketball and spending time with family and friends. Lisa has worked for WABC for over 20 years. She started as the Receptionist and has worked her way up to the Firm Administrator. 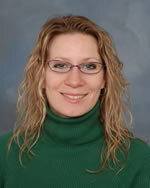 She takes care of Human Resources, Operations, and Information Technology at the firm, along with client bookkeeping. When not at WABC, she likes to read, watch movies with family, go gambling, or get together with friends. Michael has been in public accounting for over 10 years and joined WABC in January 2014 with the DRMK merger. He oversees the accounting and tax requirements of many clients in a wide array of industry and values the lasting relationships he has developed through working with them to meet their needs and challenges, whether big or small. He also enjoys training and working with staff members who are beginning their careers in public accounting. Michael lives in Baltimore with his wife and five children. 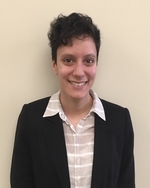 Miriam Zaghi has been in public accounting for six years and joined WABC in October 2018. She will be supervising various audit engagements at WABC. 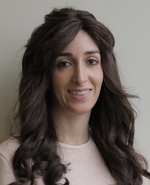 She attended Touro College in Brooklyn where she obtained her Bachelor of Science degree in accounting and then continued to become a Certified Public Accountant. She spent her first six years as an accountant working at PKF O'Connor Davies in New York City where she performed many real estate and non-for profit audits. 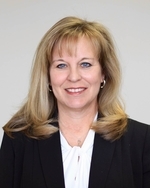 Michelle D. O’Neal, CPA, has over 15 years accounting and tax experience. She holds a Bachelor of Accountancy and MBA. Her background includes private, public, and consulting accounting. Michelle came to WABC in 2014 by way of a merger with DRMK. 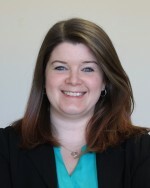 She has been with both firms collectively for over 10 years when she moved to Maryland from Michigan. She is involved in the accounting and tax requirements of many clients in a wide array of industries. Michelle enjoys spending time with her family, going to church, and participating in community activities. Quante Newton has been with WABC for 3 years. 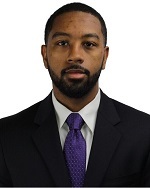 He is a Towson University graduate and CPA candidate. When not working, Quante enjoys playing basketball, running marathons, and trying new restaurants. Ms. Dawson holds a bachelor's degree in sociology from Towson University. Her degree has provided the background for her high level of experience in dealing with interpersonal business relationships. Her varied positions have included the scheduling and maintenance of a transportation rental fleet of handicap accessible vehicles to a more structured office-oriented environment assisting professional advisors. 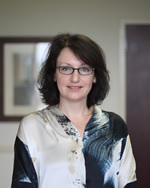 Robin joined Dennis Weiner’s firm in January of 2012 and brought her seasoned administrative support skills. When Dennis merged with Weil, Akman, Baylin &amp;amp; Coleman, PA in January of 2015 she offered those same skills to WABC. She enjoys playing tennis and raising her three children. Sandy works in the Tax Department. She has been with WABC for 11 years. Her prior public firm experience was for three years. She also has real estate management accounting experience with two companies for six years. Accounting is Sandy’s second career; the first was in printing for seventeen years. She is also the treasurer for her community association and a volunteer for the Maryland Zoo’s special events and Susan G. Komen’s race event. Sarah has worked at WABC for 9 years, but has worked in various administrative/customer relations positions since 2004. She really enjoys the “jack of all trades” aspect that comes with working in administration. She handles multiple tasks ranging from accounts receivable and processing tax returns and financial statements to helping with IT issues to planning firm events. Her day is never boring. She enjoys the personal touch of dealing with clients over the phone and in person, especially during tax season. Born and raised in Baltimore, Sarah lives in Dundalk with her husband and puppy Willow while enjoying music, movies, time with her family, and volunteering. A native Marylander and graduate of Villa Julie College (now Stevenson University), Tim has been a CPA with the firm for over twenty years. Originally starting as an intern, he performs a wide range of the services offered by the firm including individual, business and not-for-profit tax return preparation, financial statement auditing and reporting, and providing accounting and tax advice to our clients. Tim is an active member of the American Institute for Certified Public Accountants and Maryland Association of Certified Public Accountants. 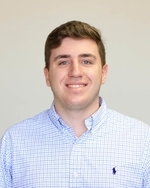 Zac started working at WABC in October of 2016 and graduated from Towson University in the spring of 2017. Zac got his master's degree in accounting and business advisory services in the spring of 2018 and is currently pursuing his CPA license. When he is not working, he enjoys playing and watching sports in addition to spending time with family and friends. Debbie has been with WABC for 4 years. She take care of our clients when they call and come in as well as keeping the front desk running smoothly. She has been a receptionist for 25 years and loves it. Outside of work, Debbie enjoys going to yard sales, trying to help find lost dogs, and spending time with her husband and rescue lab, CC. Megan is from Long Island, New York and is currently a junior studying Accounting at Towson University. She plans to graduate fall 2018, then continue on to receive her master's and become a CPA. She joined our team November 2017. She is very involved with her sorority Alpha Phi-Eta Omega chapter by serving as the Vice President of Finance. With her active participation in Alpha Phi comes community service and philanthropy events, which she enjoys the most.